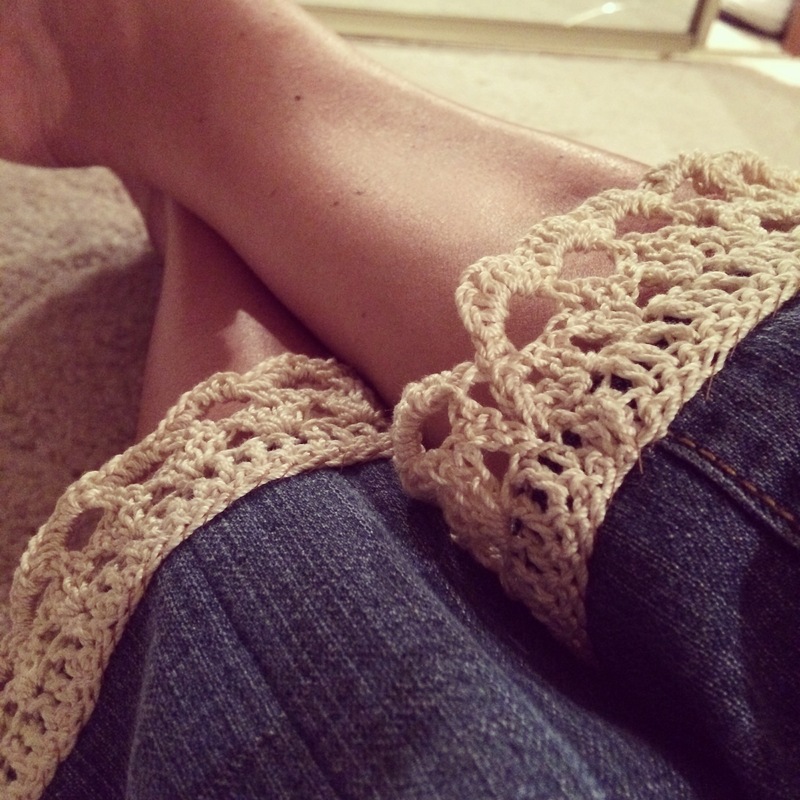 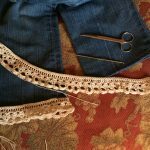 I made these crocheted borders for a pair of jeans I had that were too short! 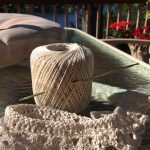 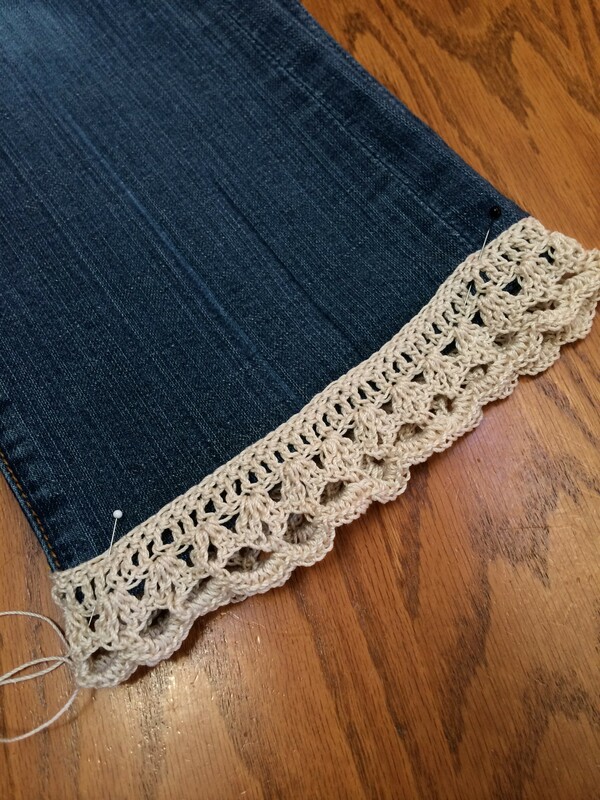 I used Crochet Thread #3 and a Size 2 Crochet Hook. 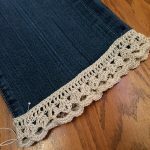 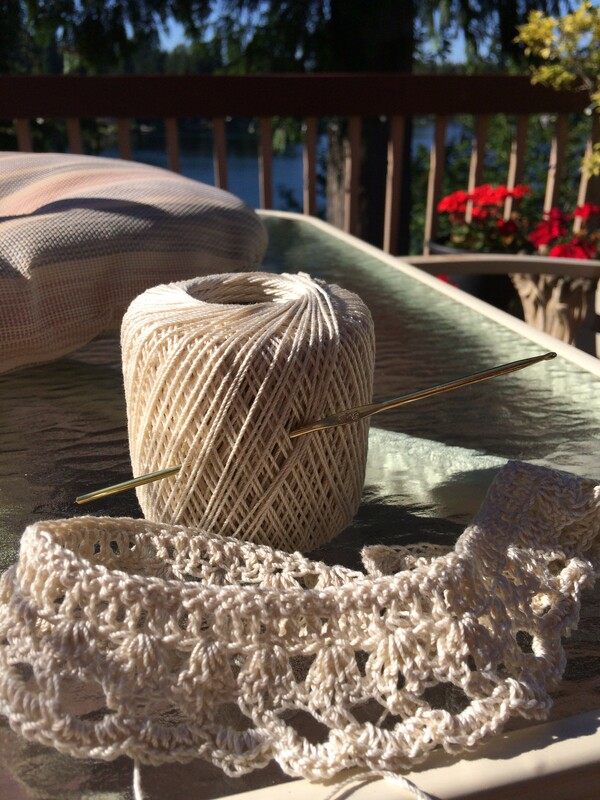 I chained enough stitches to go around the border and then started the pattern from there, taking some inspiration from the Birthday Doily. 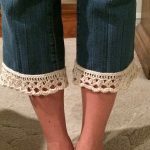 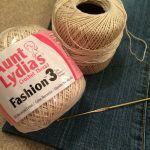 After I had too identical borders I pinned them to the capris, which I had prepared by cutting them to a desired length and using the sewing machine to stich 1/4″ hem around. 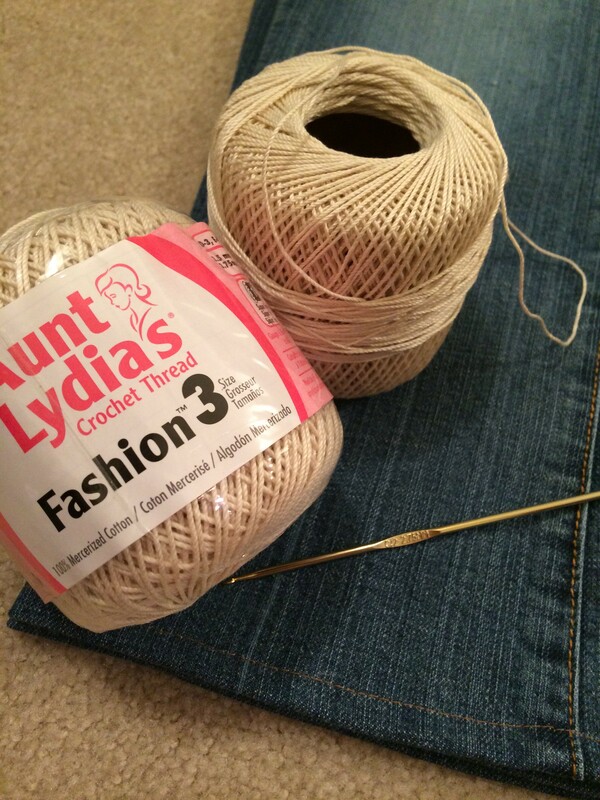 After pinning the border in place, I took a needle and thread and went to work. 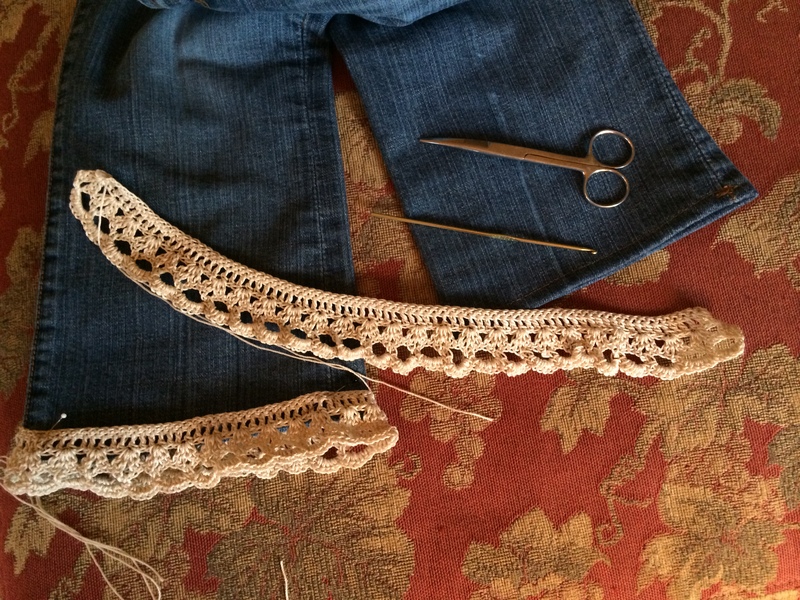 I’ve washed these jeans since several times, and the crochet border remains in place and looking good! 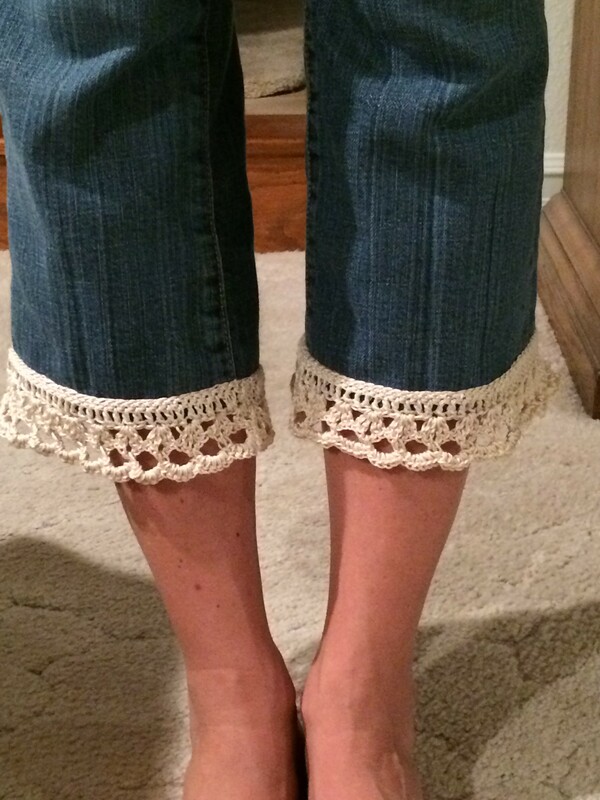 I love these jeans now!